Nollywood veteran actor Babatunde Omidina, popularly known as Baba Suwe, is reportedly in urgent need of medical attention and he has reached out to his industry colleagues for assistance. According to reports, he is currently seeking financial assistance to enable him to travel out of the country for treatment. 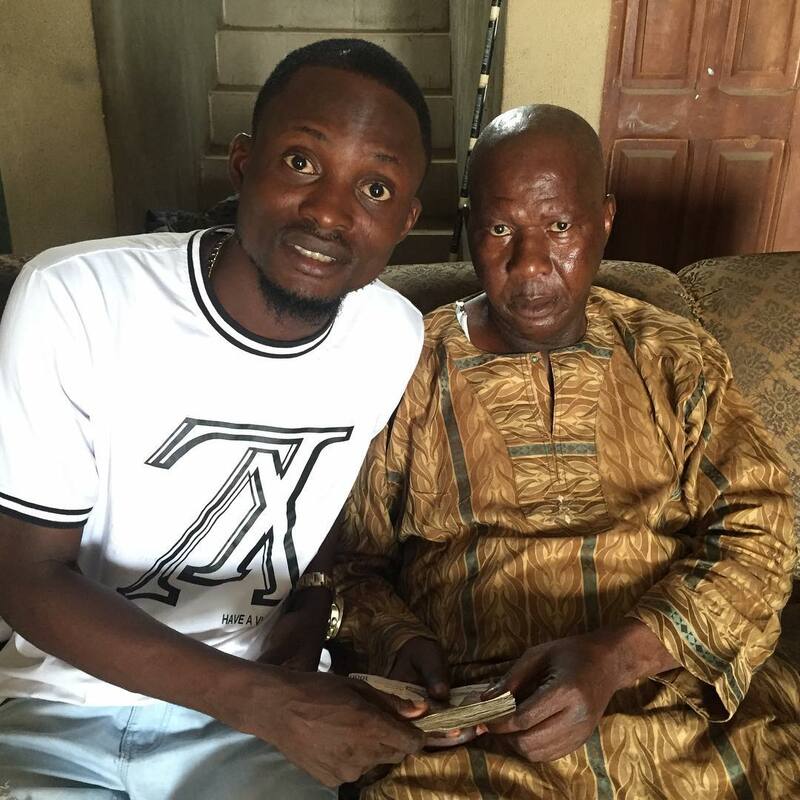 Actor and comedian Jigan Babaoja shared an update on his social media as well as a photo of himself giving Baba Suwe some money. He needs medical attention in the USA ! After my discussion with him he needs to renew his passport and want to go to the USA where he normally receive his treatment ! We are at JBO foundation and our supporter all around the world would do our little support to make sure baba suwe get back to his fit ! And thanks to all JBO supporters for your contributions from South Africa, Canada, America and all around the world that sent me on this journey to look out and ask him what he needs to be done ! I pray God almighty bless you all and to all ! Get well soon Baba suwe adimeru! @thetimibalogun@guze_image_concept and to all my crew I say thank you all for your kindness ! Let’s make Nigeria a better place ! With all these contributions now my one kobo no Dey inside but I gave up my time and my heart to make sure we put smile on his face ! The ailment of Baba Suwe has not been revealed, however, several of his colleagues have started helping him solicit for funds on social media. Watch a video of Baba Suwe asking for help below. Some people sha! So what exactly is the ailment? Where is the hospital invoice/itemized listing of proposed treatment? We should be donating money without any proof. The only thing he said is he passed out twice or something like that. Okay oh, we are coming to donate. Health care in America. They should do their research very well. If I read India or Europe, I might drop money but America. Mba what is wrong with him? He should also solicit legal aid to recover his judgement debt from the Government.. That is so wrong. will government not pay him? If they have been giving him million per annum they would have finished paying by now.